Hanukkah Gift Tags - pack of 15. 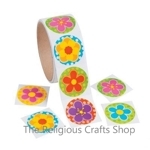 Bright and colourful stickers for presents. They come in a range of designs and measure 9cm by 5.5cm. Sunday School 12 sheet pack. A great pack to link with Bible Stories. Children can draw the backgrounds and arrange the stickers to make their own picture - lots of fun and learning. 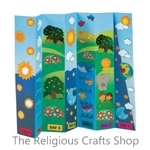 Each pack has 4 sticker sheets for 3 stories - Noah's Ark, Jonah and the Whale and Daniel in the Lions' Den. Each sheet measures 18cm by 12cm. Special Offer Price - only £3.49 for a 12 Pack. 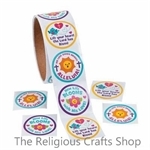 Children's Christian Prayer Stickers. 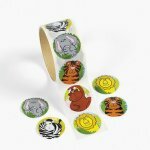 These colourful stickers are perfect for young children - With their simple messages and bright and cheerful pictures. These stickers are an essential with Sunday Schools. 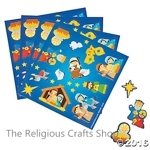 1 Sheet of Nativity Stickers. These stickers are perfect as little gifts for children in Sunday School or to use for Sunday School activities leading up to Christmas. Sticker sheet measures 10cm by 10cm and has 18 stickers measuring 0.5cm to 4cm. Funky Star Stickers - pack of 50. Colourful and fun. These are always popular with children and teenagers alike. 50 Colourful Heart Stickers with smiley faces. 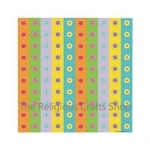 Bright and happy heart stickers which both children and teenagers love. Ideal for sealing envelopes, giving out as rewards and decorating books and folders. Stickers measure approximately 35mm. Pack of 50 Stickers. 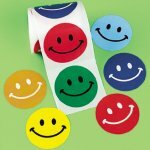 Bright, happy stickers to make children smile. Great for treats and rewards. Children like to choose their favourite colour. Each sticker measures 4cm in diameter. 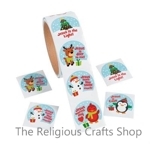 Pack of 50 Inspirational Christmas Stickers. 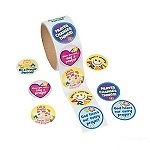 Stickers are always popular with children and these are bound to be a big hit. They can be used for rewards, treats and for simply sticking on Christmas cards. With colourful designs on a Christmas theme, they illustrate the meaning of Christmas. Stickers measure 4cm. Big 25 Pack Make a Sticker Scene of Jesus and Peter walking on water. 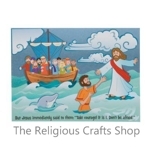 This sticker scene set is an ideal follow up activity to the Bible story - easy to make and fun to be creative. Each pack has 25 background scenes and 25 sheets of stickers - a bargain for larger groups, or just use and keep for further classes. Sheets measure 16cm by 12cm. 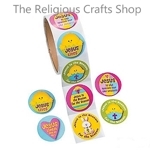 Easter Rejoice Sticker Sheet. 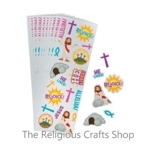 These sticker sheets are ideal for giving out as little gifts at Easter or for using in Sunday School classes. Sticker sheet measures 15cm by 5cm and has 19 stickers. 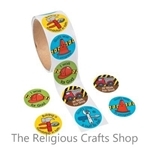 Pack of 50 Inspirational 'God at Work' Stickers. 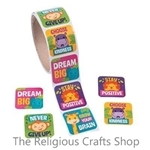 These bright stickers with bold illustrations and inspirational messages are perfect for younger children as rewards and treats. Stickers measure approximately 4cm.